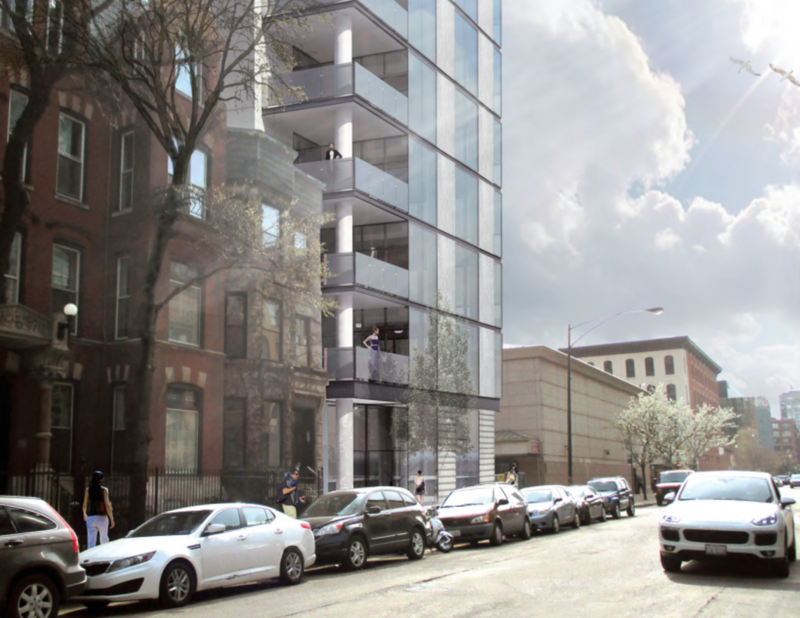 LG Development has presented its plans to bring a 12-storey, 10-unit luxury condominium building to the former site of the Astrolab film processing facility at 61 W. Erie to the River North residents’ association in a meeting hosted by Ald. Brendan Reilly. The project has been designed by NORR Architects. The proposed building will feature 11 ground floor parking spaces, a two-storey penthouse unit, and a modern facade consisting of glass and raw architectural concrete. The developer must now approach the City of Chicago to gain approval for its Planned Development (PD) route seeking a taller than normal design. The PD process will also allow the city to negotiate additional public benefits like new streetscape planters, widened rear and side alleyways, and the building’s 4,800 sq. ft. green roof. According to the development team, it is the project’s increased height that makes it economically feasible in a spot where the previous plan failed. “If we stopped projects based on blocking views, the first building built in Chicago would have been the last,” said LG Development partner Brian Goldberg. Goldberg said he anticipates delivery in late fall of 2017 following roughly a year of construction. 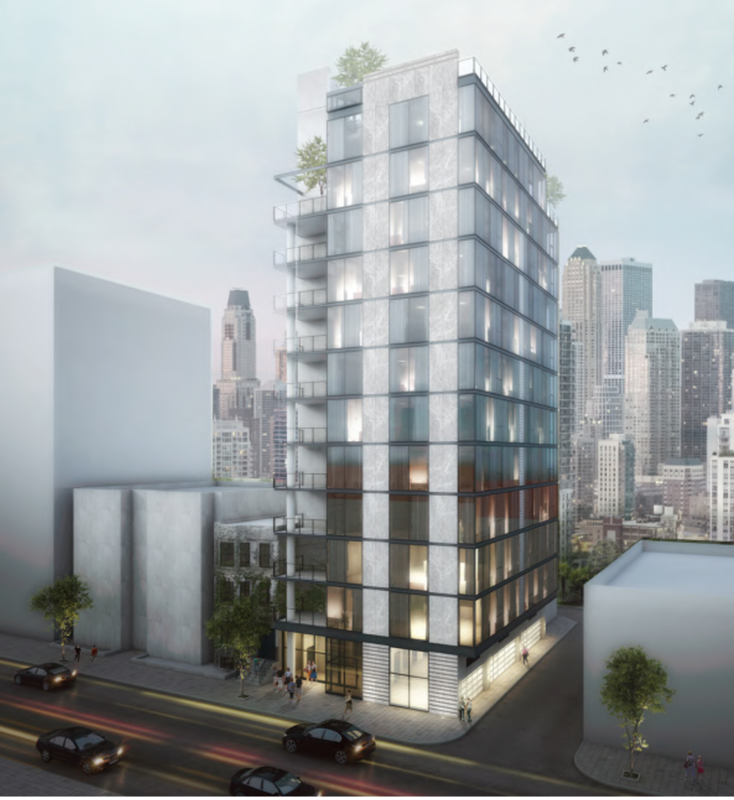 While the developer wasn’t quite prepared to make a firm comment on pricing, the 2,700 sq. ft. units in the luxury building will easily exceed $1 million given their size and Chicago’s currently starved supply of new condominiums.